Mayor Harvey Johnson Jr. has an encyclopedic knowledge of what’s going on in the city of Jackson. 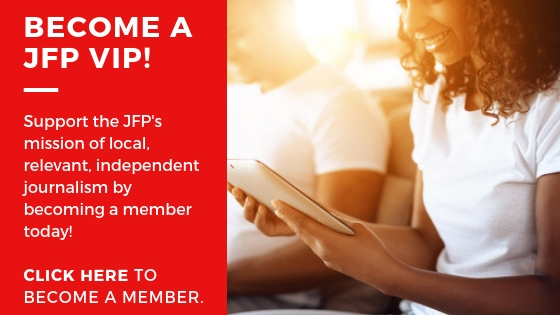 See all of JFP's City Council endorsements here. 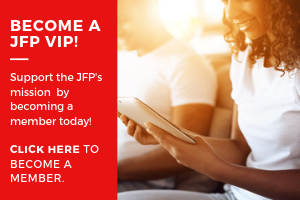 See the JFP's endorsement for Harvey Johnson Jr. here. 2009 JFP Interview with Harvey Johnson Jr. The JFP interviewed Harvey Johnson Jr. during his campaign to return to the mayor's office after Frank Melton. Mayor Harvey Johnson Jr. knows the ins and outs of how the city of Jackson works--and doesn't. Now running for his fourth term as the city's mayor, Johnson became Jackson's first African American chief executive in 1997, beating incumbent Kane Ditto in the Democratic primaries--Ditto had served as the city's mayor since 1989--and then he thoroughly trounced his Republican opponent, Charlotte Reeves. Johnson won with a whopping 70 percent of the vote. During his first administration, which lasted until 2005, Johnson planted the seeds of several development projects that stand today as Jackson landmarks. The Convention Center Complex and the Metro Jackson Parkway are examples of what the city can accomplish with the help of a leader who knows how to work the system. It's easy to forget just how much the political and economic landscape has shifted since the late 1990s. Mississippi escaped the worst of the recession simply because it didn't have that far to fall. Still, Johnson has managed to find new sources of revenues and balance the city's budget, something many mayors across the nation have failed to do. During his career, Johnson has come under fire for being slow, even pedantic. That reputation may have drawn voters with a penchant for speed over caution to put Frank Melton in the mayor's office from 2005 to 2009. Melton promised to solve crime in 90 days. Johnson bided his time until Melton's frenetic sparkles faded. He then returned to the mayor's chair in 2009. "What I do, the way I do things, I try to do them right," Johnson said. "I'm working every day--every day--to try and make this city better. If it doesn't show up every day, perhaps it's my fault that I don't talk about what I'm doing every day." People who want a personable, glad-handing cheerleader won't find that kind of a mayor in Johnson. For those who back him, though, his steadiness, near-fanatical attention to detail, in-depth knowledge and quiet strength are overwhelmingly appealing in times of uncertainty. Let's talk about grants. In 2009, you said that you would leverage the federal stimulus funds in order to make it into more money. What has your administration done to increase grant money for the city? First of all, the stimulus money was short lived. We tried and tried to work with the U.S. Conference of Mayors, trying to get the energy block grant extended. It was not. What we had to work with when I got into office is what we ended up working with, but we were able to do some things that through performance contracting that did, in fact, end up extending that money, expanding that money. Because we took part of the money that we had as a grant and went into a performance contract where we went and replaced all of our traffic signals with LED lights and used part of that, the stimulus money to pay for that. The rest of it was paid for through cost savings. We also restructured some of the money. One of the things that I was concerned about was having some lasting impact for citizens. So we took part of the money and came up with an appliance program, where we actually gave away appliances to low-income families--energy-efficient appliances (such as) refrigerators and air conditioners, hot-water heaters. Most of the money went to refrigerators. One of the things I wanted to do with that, with the grant effort, was to retool it, and we've done that. We've regularly applied for federal grants, and actually, grants from foundations, which is kind of unusual for a city. But we've actually received some foundation grants. Not a lot. We've gotten one grant of about $100,000 for what's called the green and healthy homes initiative, where we're looking at taking out lead-based paints and tripping hazards, and doing a little training for rehab training for people who don't have skills. That's not federal dollars. It's actually from a nonprofit. They're getting their money, some of it's from the federal government, but they're also getting foundation money. We also now have now elevated the grant effort. We have a deputy chief administrative officer, a CAO, for grants. She tracks all the grants, provides technical assistance to our various departments as they apply for federal dollars. Her name is Lacine Hilliard. Does she have a staff? She's in the assistant chief administrator's office and there support staff in that office. How people do you have at this point in grants? Just her and someone else, so one and half persons, but that's in that office, in the CAO's office, but various departments have grant writers in their departments. You had talked about centralizing that activity. We're still moving--this was the first step in that direction, in terms of the CAO's office. We're also instituting indirect costs. Indirect costs is an administrative cost that you can put on top of grants to pay for support, administrative support. And this is our first effort to trying to accumulate resources to have a centralized staff. We started this a couple of years ago, and it's, you know, about 9 percent or something, I've forgotten the exact number. Each year, you have to go back and get it verified. If you get a $100,000 grant, then you can take 9 percent of that to pay for administrative overhead. So we're working to come up with that support staff--that grant staff. In your 2009 interview with us, you had identified youth development as very important. What programs has your administration put into place in the last four years and what are the strengths and weaknesses of that? What do you plan to do in the future? The program that I'm most proud of that I put into place is a savings program for our early-childhood development center participants. We have about 277 young people, 3- and 4-year-olds in early-childhood development. Some of them are less than 3 years old. But, for our 3 and 4 year olds, we've started a savings program, and they're saving for college education. And they start off with $50, and it has to be matched by their parents. And the money can only be taken out for college, which is amazing, once you think about it, so now you have these 3- and 4-year-olds and their parents thinking about and focusing on a college education. I ran across a young lady just last night who was no longer--whose son is no longer in the program--he's in a pre-K at one of the JPS schools, but she still has a savings account she still maintains; it's with the Hope Credit Union. And I guess it's going to be featured on PBS. ... It's going to get national recognition. How many kids does that help? We had about 100 percent participation at the start; it's about 95 percent participation now, so 250-260 kids in the program out of about 277 who are enrolled, so it's a pretty high-percent participation that we have. The mayor of Hattiesburg called me, and said, "I just wanted to call you to let you know how well your group is performing." I thought that was great, I mean, for another mayor--because he has a youth council down there, in fact, he was head of the (Mississippi Municipal League) youth committee at one time. I think that's really doing that to not only create this bond between these young people, hopefully that will last throughout their lifetime, but also to introduce them to government and to get some idea of what their issues or concerns are at that point in their life with the city government. We've also created Jobs for Jacksonians There has been a program for young people to get jobs during the summer. But when I got into office, we decided to expand that program. It was expanded by asking the private sector to do more. Last year for the first time, the private sector actually hired more people than the city paid for. We had 475 people in the program, 275 from the private sector. So you have 475 total (jobs)? Yeah. That was last summer. Over the last three summers we've had over 1,000, but it's grown each year. How many applications do you average in the program? About 1,000 or 1,200. There's always been the case that we've had more applications than we've had positions. So this year, on March 11, we had an expo where we brought in people, employers, who were specifically looking for summer workers, part-time workers. We had about 1,300 people come to register for the program. This is outside of our regular program. This was done just to accommodate those people who we could not necessarily accommodate through our regular program. But, this year, our regular program, we expect to hire 675 people. We've had this expo and we've reached out. We have about 50 businesses that we have on line--56, I believe. So we expect to do well. That's not true. We hired 200 ourselves, the city. Let me tell you a last thing before we go on to the next thing. And they really are sort of bookends: the 3- and 4-year olds saving for college and, at the other bookend, the college students. I was over at Millsaps College, and we have a one-on-one with the mayor before each council meeting. So at Millsaps, the one-on-one was with students. This young man from Little Rock Arkansas said to me, "Well, what are you doing to--I like Jackson--what are you doing to make me stay here?" Well, you know, we have job fairs and we have this or that, but after I thought about it, I really wasn't specific to college graduates. So I got into contact with the presidents of all the five major schools--Millsaps, Belhaven, Tougaloo, Jackson State, Mississippi College--and ... partnered with the Greater Jackson Partnership, and we worked out a retention job fair just for college graduates. We had it on (April) 18th, and we think we did pretty good for the first time out. We had probably about 75 to 100 graduates come through, had about 20 vendors. ... We had Marshall Durbin, which is a chicken company. (I asked) "What do you hire?" And he said, "Well, we hire people who look at animal science, and we hire folks in business administration." It's not what you would think--chicken pluckers and all that. But they're looking for other folk. And we had energy and utility companies; they had insurance companies, and a bank was there. And so, it really was an exciting time, because for the first time, we are seriously looking at how to retain talent here, and we had 20 or so--20 to 25 employers, Nissan was there, of course, Comcast, who are now sort of mining here in Jackson for their future employees rather than (some other place). We're excited about it and look forward to doing it next year. So those are some of the things we've been doing. There was one answer I wanted to add to the youth portion. That is the establishment of the First Day Celebration. What we're doing is celebrating the first day of school. The weekend before school starts ... we have this celebration down at the convention complex. We get about 3,000 to 5,000 students down there. The idea is to get people charged up about the first day of school. I believe this last year was the third time we did it. It's really good. We have vendors down there that provide information on support services, health care, tutoring or whatever else. We have entertainment, and we give out school supplies. We've been able to do this with the radio stations--KIXIE (WKXI 107.5) is a partner. And like I said, 3,000 to 5,000 parents and students participate, depending on what year it is. Will you talk about some of the programs and the progress made to curb violent crime during your administration? I know that some of the other crime statistics are down, year-to-date, across the board, but violent crime kind of seems stuck in the same spot. And what are your plans for the next four years. Well, violent crime is down slightly, and it's the most difficult crime to wrap your arms around. You know, the homicides are typically between people who know each other. It's hard to intervene in that situation at that moment to cause that crime not to happen. but we're doing several things that I think are going to have some impact. One is that for the first time, we're partnering with Crime Stoppers on a crime-prevention measure. Crime Stoppers, you know, is when you have a lead on a crime, and you give them a tip, and you call it in, and you can get up to $1,000. But that's after the fact. The chief and her command staff have been going around our part of the country and looking at what's going on, particularly violent crime, because that's something we're very worried about because it's a tough nut to crack. They went to Charlotte, North Carolina, Mecklenburg County, and Crime Stoppers there is working with the police department to get guns out of the hands of felons. So we brought that concept here, and we're partnered with Crime Stoppers and they're offering a reward of $500 on someone giving a tip on a felon who is in possession of a gun. Now, if you're a convicted felon, you lose the right to bear arms, so you automatically have violated the law. Some people say, "You're being tough on these guys." Well, no, we're not; we're just making sure that we enforce the law that is there, and we're using Crime Stoppers to help us do that. Also, it's important to get guns out of the hand of felons, because the violent crimes that took place--and I think there were 62 homicides last year--24 percent of those homicides, the primary suspects in 24 percent of those homicides were felons. So, you can reduce the number of homicides simply by taking guns out of the hands of felons. That doesn't count aggravated assault, robberies and other kinds of violent crimes that felons could be involved in. That's one thing we're doing. We have six police cars--you may have seen them--with Crime Stopper logos, saying "Felons with Guns are Against the Law," and we are pushing that. When did that program start? A month and a half, two months ago--recently. And have you seen any results from it? We've seen some. But according to the people in Charlotte, it's a slow process; it's a buildup process. That's why we have these police cars marked. As the word gets out, I think it will have more activity. The reward money: Is that city money or does it come from Crime Stoppers? Are there any plans for the city to kick in something? Or have an alternative to that program? No. I think that Crime Stoppers, they devoted $50,000--I can't remember the number. I mean: It's adequate money there. I think if we didn't have any money we'd have to look at it, but right now, there's no plan for the city to augment that. This was a partnership with Crime Stoppers. It's similar to what happens with other Crime Stopper awards: It's totally private money involved in it. The other thing that we're doing is: This whole notion of violent crime, particularly black-on-black violent crime, is prevalent in urban areas throughout the country. Back in October of '11, I think, I went to Philadelphia, (Pa.), and Mayor Michael Nutter, who is now president of the U.S. Conference of Mayors, (New Orleans) Mayor (Mitch) Landrieu and a couple of other mayors and I, went to talk about this whole notion of curbing black-on-black violent crime and homicides in urban areas. We formed a group called Cities United. Cities United is a group of mayors that are searching for solutions--not that we have them--but we're searching for solutions how we can get our arms around this. ... We've had a couple of meetings here in the city with law enforcement, with the sheriff, with the chief, all together--with judges, with the district attorney's office, with the city prosecutor-- to see how we can better make our criminal justice system to work better. That's important, because once people know and understand that the criminal justice system is working to the extent that they know there are some consequences to those actions, the violence, it works better. They have a model in New Orleans--we've met with the deputy mayor about what's working in New Orleans. So we think that the Cities United movement will inform us on some of the things that we need to be doing here to try to help out. We've been looking at it probably a year, a year and a half. Are we talking about the stop-and-frisk that New Orleans is doing? No, no. Stop-and-frisk? No, no. The model we're talking about--and I heard about stop-and-frisk--The model that we're talking about has to do with bringing in the feds, bringing in the federal law enforcement people, but also bringing in some of the culprits, the would-be culprits. Some of the people in the community who you need to get the message to, that, "Hey, we ain't jivin'. We're for real. We got the feds here, and we got judges here, and we got the prosecutors here. And if you don't straighten up, you're going to jail. We're going to catch you." It's that kind of model that, as I understand it, that they're working on and trying to get more information on. In Milwaukee, they have a review committee that looks at these homicides to see what, perhaps, are some of the causes, if they've been prevented some kind of way. It's not just law enforcement, but it's also regular citizens. We've looked at that model. So we don't know exactly how we're going to come--it's sort of evolving right now, but we do know that there has to be some special treatment for violent crime. It can't just be like property crimes, you know, setting up a sting with cars in the parking lot to see if it's going be stolen so you can stop an auto burglary. It's going to have to be something different, and that's what we're working on, and, again, Cities United is helping us with that. Another way that we're going to look at violent crime is that we've started ... an ex-offenders program. People may say, "You're getting soft on crime." Well, no. No, we're not. What we're doing is we're preventing crime. We're trying to prevent not only prevent that person from committing another crime, but we're also trying to prevent citizens from become crime victims. Because a lot of these people are getting out of jail without any skills, without any education or training, without any hope--so the moment they get out, they're on their way back. Unless we can successfully intercede or intervene in that cycle, then we're not we're going to constantly have crime and violent crime. We received a grant, one of 15 communities to receive a $50,000 planning grant, and we brought together about 50 or 60 stakeholders. I was amazed, quite frankly, by it, because you know, anywhere from the Mississippi Department of Corrections to an ex-offender to behavioral-science people, mental-health people, all coming together to come up with a strategic plan on how to better assimilate ex-offenders into society. That plan has been just completed. We're using that plan to apply to the federal government for implementation money, about $450,000 a year. We think we have a pretty good chance of getting a grant, and they're evaluating the grants now. We think that that will help with the violent crime as well. Not just crime, but violent crime, because a lot of these ex-offenders who are coming out are felons, or have been put in jail for violent acts. So those are some of the things that we're doing. There's a problem in Jackson, or at least a perceived problem, primarily with JPS, but in terms of increasing contact between young people and the police. Do you think that the Jackson Police Department is adequately trained or has enough resources to deal with issues that arise with young people in schools? Well ... you mentioned JPS. JPS now is being considered or has been designated as a police department or as a law-enforcement agency. So they would have primary responsibility for dealing with the young people within their facilities; however, we stand ready to augment that effort at any time. Yes, we are properly trained. We have school resource officers. ... A couple of years prior to this year, we actually had JPS, through a grant paying for school resource officers to be placed at certain schools--I think they were primarily at middle schools, maybe six middle schools--but I think we had are about six officers there. So, yeah, we have a good working relationship, and we have officers who are properly trained. ... This is no longer happening, but through a grant from the Eisenhower Foundation, we had an officer assigned to Galloway Elementary School working with Operation Shoestring to create what was called a safe haven. So this officer not only worked with children there, but he also worked with the parents. The idea was to give a whole new relationship between young people and police officer. That grant expired, but that officer received training through that particular program. He's one of our school resource officers and we have other officers as well. But if the issue is, what happens, who's responsible for the safety of the children and how they interact with them, then it's my understanding that JPS has recently, their security division has recently decided that they would take on the full accoutrements of a law-enforcement agency. So if something happens at a school, it's JPS that would respond? JPS would respond. We would also respond if called; we would definitely respond. I may not be up on that, but they made that decision themselves? I think so. You may want to fact check that. But that's my understanding. Check it out. That's the way I understand it. I thought I read it somewhere--not in the Free Press. ... I know it can be confusing to citizens, but we're not going to ever not respond to an incident at a school because people expect the police department to do that, but I think that the primary focus, the primary response agent has shifted, I believe. The Jackson Public Schools have been pretty heavily criticized. The previous superintendent was not invited to come back. Now, there seems to be some issues with the current superintendent. How do you fix the problems with the board; is there a problem? How do you take that and improve the public schools? I think better communication is the answer. I've told some of the board members this: I think that the board members, once they get appointed, sometimes act in a way that makes it seem that they're in isolation--that public education is an island unto itself, and once you get onto that island you don't have to do anything else. But that's not the case. Public education affects all of us in many, many different ways. Not only do we have to rely on that system to educate our children and provide us with our future workforce, but it also is an economic development tool, because as people look at the workforce and tie it to jobs and all kinds of industries or services that they're going to bring to an area in public education. Parents are going to look at public education where they raise their children, where they're going to bring their children up. It just touches a lot of areas. It's funded by public dollars--$4 million, so the public expects some kinds of accountability. That accountability can come through better communication, so the board has to recognize and realize that there is some responsibility on their part to make sure that they enact, that they hold themselves accountable for their actions. Again, meeting with the community out there would help. Certainly, meeting with the administration, the mayor's office. ... One of the things that we've done, and I've met on many occasions with Superintendent Gray, is to recommit this last round of issues with JPS that had to do with money, budgeting. We committed to start that process early. Typically, what happens is that the school budget year starts July 1. Our budget year starts Oct. 1. The council will approve the budget--including the school budget--sometime in September. (The schools are) already three months into their budget, but some time in August, they'll present the budget that they adopted July 1 to the council for approval. Now the kicker is that the council has no choice but to approve it. Anything that's brought to the council has to be approved. So what I said to Superintendent Gray is, "Look. You know, we need to start this process earlier." Last week, we started meeting: My finance folks started meeting the school finance folks. They're crafting a budget, because we need to understand that budget. They need to be prepared to take some comments from us. We can't make them change it, but at least say, "Have you thought about this? What about this? Help us understand." Really, the ones who are going to have to present this--well, we don't really present it, but we're the ones who are going to have to answer questions about it when it comes in front of the council. So we'll see how that works, but that's the communication piece, and we started that last week. We're hopeful that that will cut down on any miscommunication that will happen in the future. We'll just have to wait and see. I pushed to get seven members on the school board--went to the Legislature with that--thinking we could take away this rotating system, just make sure everybody was satisfied to have some representation. This is the second year, maybe the third that this has been about? We'll see. I think communication is the key to going forward, to try to make sure we understand what they're doing, and that the school board understands that they're not in it by themselves, that they're not alone, that all of us are in it together. And they need to be accountable for some of the decisions they're making. You mentioned going to the Legislature. At least one of your opponents that we interviewed here have said that your administration is not trying to go to the Legislature to get very many things done. How do you respond to that? I could give you the sanitized version. We're not the sanitized version kind of place, but go ahead--your choice. Well, that's the furthest thing from the truth. I don't think that there's a mayor in the state of the Mississippi ... that's at the Legislature more than I am. This session, I met with the leadership, the lieutenant governor. (I) met with the speaker prior to the session in city hall. It's the first time in my recollection, the first time since I've been mayor, that the speaker has come to city hall for me to talk about Jackson and the things that we could do to make the city better. So that's the furthest thing from the truth. This year, we were fairly successful in going to the Legislature--we've been successful each and every year--but this year we were able to get $3 million. We need a bridge to get repaired over Mill Street at Woodrow Wilson (Avenue). We got a million dollars from the feds, a million dollar grant from the federal government, to start the process of repairing that bridge. We went to the Legislature and asked them for a couple of million dollars to help us out. We met with the chair of transportation on the Senate side and on the House side. We got $3 million for that bridge repair. Jackson has gotten other money, too. We were not directly involved in it, but certainly we were being asked about whether we supported Thalia Mara Hall getting $5 million. The zoo got a million dollars. Parham Bridges (Park), which was on our list of things, got $20,000, and the Children's Museum got $750,000. So, you know, we do OK. We would like to do more. We'd love for the legislature to give us an automatic allotment just for being the state capital and help us out with streets and some other things. Oh, by the way, we got $6 million back in 2010. That was partially due to my great relationship with the Legislature, and partially due to the fact that they had to go outside to use the facilities. We got $6 million. Just last week, we broke ground for the water tank on Fortification at Mill Street, about $3 million, which will be paid for out of that money. Part of the water line on Capital Street is being paid for out of that money. So it's certainly not true that we don't have a relationship with the Legislature. We'd love to get rid of that commission. We came very close in the '12 session; didn't fare too well in this session. But you have to keep at it, keep going at it, and we intend to do that. And we meet with the Legislature, or legislators, out of session--in and out of session. And you meet with them yourself? Councilman (Chokwe) Lumumba stated that it might be the case that the city's lobbyists are young and, perhaps, inexperienced and might not be up to a task of that size. Well, the proof of the pudding is in the tasting. Councilman Lumumba and other council members sign off on the legislative agenda. We undertake that agenda. Again, we had this commission that we were not successful with this year, but that same young team, the year before, got all the way--had the bill passed ... by both the House and the Senate, by the conference committee. A quirk of parliamentary procedure killed the bill in the 11th hour. But no one gave it any chance of getting that far. That same team worked on getting the (additional) school-board members, to settle on the (additional) school-board members, which was phenomenal in terms of getting that done. We may have the only seven-member municipal separate school board in the state. (Lumumba) was remarking last night that he went over to the Legislature, and another (council member) said he went over there. There's a difference between going over there as a high-paid lawyer working for a client and going over as a public servant trying to get something done for the citizens. That's what we're trying to do. There's some confusion as to why we wouldn't go ahead with the commission to get the money even when we didn't have full control over the deal we needed to work out down the road or in the machinery. So what's your firm position on the commission and why is it that we don't take the money? I think you know what my firm position is because it hasn't changed. I think that the commission is an insult to not only to the elected officials of Jackson, but to the citizens of Jackson. People have elected a body to oversee the collected expenditures of public dollars. Nowhere in the state is an appointed body at the municipal level doing anything like that. So that's the starting point right there. We know because we've been reporting on that. So (they said), "Well, we'll appoint some good people. You don't have to worry." But this is a 20-year law. I'm the mayor now, and some good people will be appointed now, but what if later on the not-so-good people are appointed? What happens then? ... This is a 10-person commission, so I said to the Chamber, "Look: Why don't you just assign your four members to the city." Because the city has three; the lieutenant governor has one; the governor has one; the speaker of the House has one. The chamber has four. So I said, "Why don't you just assign your four over to us?" "Hmmm... Let us think about that." They thought about it and they came back with an opinion saying, "You know what? We don't believe that we can assign a public duty that's spelled out in law." Well, I'm of the opinion that a private party can't have a public duty, and we have lawyers who have that opinion as well, but supposedly, they got an unofficial opinion from the attorney general saying that they couldn't do it, so we had to back off of that compromise. Then, this last legislative session, we went to the legislators on the House side, and said, "OK. Why don't you leave the commission in, give us the four appointments--us being the city--that are in the bill for the chamber." We talked to the chair of Ways and Means; we talked to a subcommittee chair. And it passed the House. So that would give seven (commissioners) to the city, and three to the state? Right. Again, it doesn't sit well with me. I still think it's an affront, but I'm about the business of taking care of business for the citizens. To me, this is a way to do it. It passed the House. ... It was a pretty strong affirmation of the support on the House side. Could not get out of committee on the Senate side. So it died. There's never been any confusion on my mind as to why I'm against it. There's never been any confusion in my mind as to why. I've heard some candidates say, "Why don't we go on and pass it? We need the money!" You have to get 60 percent of the people of the city of Jackson to vote for it. Are you going to hoodwink that 60 percent of folks in Jackson? Or are you going to say, "Look: This commission is going to be controlled by the people who may or may not live in Jackson who these elected officials can't appoint?" I mean, that's the message. That's what you have to tell them. The electorate is going to have to say, "Oh well. That's fine with me." Playing devil's advocate on that, do you think that 60 percent of Jacksonians would find that question of who controls it more important than getting the money and spending it on roads, etc.? I think when you start talking about taxation, people will look for any reason to oppose it. I think you have to have a tight program when you come to people and say, "I want you to tax yourself, and I want 60 percent of you to say yes to that." There can't be any quirks, there can't be any spaghetti ends. It has to be clean. I think that commission is a spaghetti end: It makes it murky. The other reason that you don't want the commission is because you have to float bonds. Bonds are floated on the full faith and credit of the city. What if you have a bond for 20 years, and 15 years out you get a commission that says, "Well, you know, we spent enough money on water and sewer. Let's fix our streets, or let's do something that will redirect that money." Meanwhile, you have, perhaps, $100 million worth of sewer bonds that you have to pay off. All of that is possible under that commission? If, for example, it was actually payment in lieu of taxation, would we accept a commission if it was actually state dollars coming us, or is there a legal precedent that we don't want to mess with? It sounds like you're already compromising, so that's probably not true. Well, yeah. Regardless of what people say, I do listen. I do try to find out the middle of the road, and I don't have a tail. You talked about different ways to pave the roads. It seems you've taken some hits during the campaign about the condition of the city streets. I've heard you say that bonds are not the best way to pay for roads, but we've just passed this bond issue for $10 million to pave roads. Why did you decide to do that, and what is your plan for the future? First of all, let me explain that, because bonds are not the best way to pave. Roads last about 10 years; these bonds, we anticipate 10 year bonds. The reason that I proposed this bond issue is because we need a major injection to fix our roads. That's the only way to get it is through the bond issue. It will not require a tax increase, though. In fact, what the payment plan, or the plan that we worked out is through savings. The last two years, we've actually saved about $2 million more than we anticipated going into the budget years. That's because we contained costs. I'm constantly preaching about better management of resources to our directors; they're preaching it down to their people. So we've done pretty good. I'm proposing that we take savings, and as we are developing this program, as we're using this money from the $10 million, we'll have ongoing street (paving) activity. Let's say it takes four to five years to spend that money. We save over a million dollars a year. At the end of year five, we have $5 million. I suggested we create a special fund, a street-repaving fund, within our reserve. Our reserve right now is higher than the industry standard (which is) 5 percent. Our reserve is at 7.5 percent. Within that reserve, on top of that 7.5 percent, I'm suggesting we create a street-resurfacing fund. Hopefully, that would be about a $5 million a year fund. At year five, we will have finished paving the streets with the $10 million bond issue. We can then decide what to do with the $5 million (in savings). Will we put it back into another major injection, which I hope we would do? Or, whether we take it and do a million dollars worth of streets a year, which would be the life of the bond? At any rate, we'll have enough money to fix major thoroughfares in all the wards. I'm proposing a million dollars in each ward, because major thoroughfares are what we're getting beat up on the most. Residential streets are tough. There are 1,200 miles of streets in the city of Jackson, so it's very difficult to have an ongoing street-maintenance program without dedicated revenue. At some point, that may happen. We dedicated one mill now, which is about $1 million, but we may have to increase that at some point in time. With this $10 million, we'll be able to fix up major thoroughfares throughout the city, and also the bridge on South Street by the fire station. We're currently paving 28 streets, residential streets; we're paving 25 intersections because intersections take a beating. We only have an in-house crew. And we're fixing 500 utility cuts, about the size of this table where they dig down and repair water, sewer line breaks and we fill them back up. Now some haven't been finished since 2007, and we have to go back and finish them. So my future plans going forward would be to use that $10 million to repair those major intersections and major thoroughfares, fund a street-repaving fund within the reserve fund--and to do that through savings. Also, to use the results of a street rating system we have going now, and there's a special van that driving through and across every street in the city to come up with a rating of 0 to 1,000. We've done this by person before--we had people doing it, but that's fairly subjective. This is an automated, computerized rating system, that will travel the streets and give a rating from 0 to 1,000, with zero being terrible, impassible and 1,000 being perfect. That's going to allow us to have a way of prioritizing streets and using whatever limited resources we have to fix those streets--because everybody's street in front of their house is the worst street in the city. I was going to ask if you were taking suggestions. I think this next week, probably, we'll have that van. What is different about now versus three years ago in terms of your thinking about the bonds. Did you think something else was going to happen coming out of '09 or '10 where we'd have more money for this? Couple of things: One is that I didn't realize the relative inactivity during the four years that I was out of office. My first eight years--it sounds kind of weird--but my first eight years that I was in office, we paved about 192 miles of streets. Asphalt was cheaper then. People don't recognize that asphalt is petroleum based: When gas goes up, so does the cost of paving streets. At any rate, we did about 192 miles of streets. We've done around 90 over the past three years thanks to that bond issue. We're behind, so catching up, what's required is this injection. So the change was, one difference was the inactivity. The other was that we need this major injection. People are very concerned about the streets here in Jackson, and we need a major injection. I satisfied my frugality by saying that we were going to squirrel away this money and develop this street, this reserve fund. That's under my control, and I think we can do that. The final thing that sort of weighted this is the load-life sales tax. That would provide some money for street repaving. If we could get $10 million and only have to use $1 million of the $15 or $16 amount that we have in load-life sales tax for streets. But that hasn't occurred. It's going to occur and when it does occur we can take that money and pay for the street bond. So those are two or three things that have changed. I'll tell my story: To get to and from my house in Fondren, six blocks that way, I've driven now, over the last four years, two repaved roads. Over that time, since they've been repaved, they're a hot mess again. They've been pulled up for water, I'm sure, for all kinds of things. And those repairs are not even done to take it back to paved road--they're dirt road in parts of them--and there's been a mess sitting in the middle of Old Canton since Christmas time. Is the issue that we can't close it up because we can't fix it? Well, we need the resources to fix it, and part of that is going to come from this Siemens performance contract. It's listed in one of those. That's one of the things this performance contract is doing: It's allowing us to get some resources to make some major repairs like that particular line break. I guess the question is: Are we broke? Do we not know how to make these repairs? Or is there a third answer? Well, I don't buy into the first two, so there must be a third. No. We're not broke. Do we have the money to do everything that we need to do? No, definitely not. And that's one of the reasons we came up with the performance contract: to broaden the scope of it, to take in water-meter replacement, a new billing system, improving our water-treatment plants and repairing collapsed sewer lines. It's going to take about $15 (million) to $17 million to do that. It takes resources to do this, but to say, "We're broke," is clearly an inaccurate statement. We're not broke. We're finding resources to make those repairs. In that sense, if your swimming pool is leaking, which I guess is sort of an elitist example, but if your swimming pool is leaking, it takes a certain amount of money for you to repair it--say $10,000--it leaks until you can come up with that $10,000. That doesn't mean you're broke, because you have a swimming pool. You're still buying food; you're still making car payments; you're still sending your kids to college. You're still doing all the things you need to do, but you need money to fix that swimming pool. That's where we are with city government. I mean, we recognize that there are issues out there. It would take us, to repair our water system, about $500 million. And sewer system, it's about $400 million. That's the EPA consent decree? Over the next 20 years, we could spend $1 billion. But, in spending that $1 billion, I think we ought to be training people on how to get jobs with that $1 billion if we're going to spend it. I know we're going to spend $400 million, because that's the EPA. The issue with that ground that you're talking about is that those are utility cuts. We're getting to those, about 500, and that's about a third of them. We're finding money now to do another third once we finish that. Going up and down State Street, I use that as a prime example of how not to do what we've been doing in that past, that is feeling the pressure to fix the streets, because people are going over the streets, when we know that there are bad water and sewer lines under the streets. So we've paved them over--it looks real nice for two months, three months. Then we dig up the streets, and you have to patch them back up, and it destroys the integrity of the streets. No question about it: It's a traffic-calming device. To fix that right, it's going to be about $2.3 million. We're going to have to take up the old pipe, putting down new pipe, grade the street off, take some of that Yazoo clay, because that's when you get all that--take that out and fix the street. And we're going to do that. We had paved West Street all the way from High Street to Northside Drive or Meadowbrook, except that section, and I said, "Whoa, wait a minute." Because I know that section is bad. I know there's bad soil; I know there's water leaks there all the time. So we squirreled enough money together to fix that, and we're going to fix it. That's ideally the way to do all of them, but I don't believe that the public sentiment is going to stand for it. So we have to go through this process of repaving the streets and digging them up and all that. What I've asked our public works director to do is to do a better job of patching the streets. Not just potholes, but these utility cuts that are fairly sizable. Some of them, in a hurry to put asphalt right back down, the dirt is not settled, and it goes, and there are ruts all over the place. They aren't potholes, because there are no holes there, but they're just as rough as potholes. So what I've asked them to do, and what we're looking at is different techniques. ... Because contractors came in and covered up this trench and I can hardly tell it was there. Why can't we do that? It could be equipment; it could be technique. Whatever it is, we're going to fix that. On the utility cuts, obviously you have to get to the pipes or power lines under the streets. Do we have capacity problems in public works? Is there a backlog? It's a backlog. It's a backlog and it's also an antiquated system. We may have three or four of them a day, and we can repair two a day or three a day. Whatever we can repair, we have more cuts than we can repair in a day. That's why we want to do the backlog--some of the go back to '07. That's why we want to catch up, and then it will be a more manageable system. And, once we fix our water lines and sewer lines, we won't have that kind of a problem. So that's why it becomes important to try to fix that. It really is band-aids until we get the system fixed, right? I don't like the term band-aid, because some of this could be around--it could be halfway permanent, anyway, five years or something like that. But to really do it right, you need to start from underground and work your way up, and people really don't have the understanding or the patience for that. I mean, pipes are out of sight, so what's the problem? Until they break, and there's water gushing up everywhere, and you get a call, "You've got to come fix it." It is problematic. It will be problematic until we get the water and sewer lines in order. This seems like a good place to ask: The sense of urgency has come up a lot in our reading lately. We've heard some of your opponents--some other people, too, but essentially your opponents--say that there's not enough of a sense of urgency to do things like we're talking about, but then all of a sudden, in the last few months before the election, things like this start happening. How do you respond to that? What I do, the way I do things, I try to do them right. I'm working every day--every day--to try and make this city better. If it doesn't show up every day, perhaps it's my fault that I don't talk about what I'm doing every day. But for people that say that things only happen around election time, they are sorely mistaken. There are things that have been happening throughout the city. Whether it's job fairs--we started the Jobs for Jacksonians program about two-and-a-half years ago. We've had two job fairs--probably around 6,000 people total at both the job fairs; 800 people have been hired at the job fairs. Economic development projects--the Irby Electric Company, the Medical Arts Building--all projects that took time to incubate--the Iron Horse Grill--that we worked on. I think it's political talk. I think The Clarion-Ledger at one time, well Marshall Ramsey can take credit for the "Election Man" character. I don't know how to demonstrate to people that it's working. Another thing is: Do people really think that this is manna that falls out of heaven around election time? No. You have to work on this. You have to work on it every day. You have to work on it a long time for it to happen. I'm not that much of a gambler to hold all my cards until the final hour and play them. That's a heck of a gamble. That's just a misconception. I work hard every day for the city, and I've been doing it since day one. I'll continue to do it. And do it the right way, by the way. There aren't ... many things coming back on us. I want to talk a little bit about regionalization. Some of the mayors from the bedroom communities in Jackson all seem to be on the same page as far as Vision 2022 goes. I met with Gary Rhoads this morning, and he's all about regionalization, especially when it comes to the water-treatment facility. If the city was to make the surrounding cities partners in that, would they not have any skin in the game from this consent decree? The party to the consent decree is not a regional authority. The party to the consent decree is the city of Jackson. We invited our satellite users to become parties, but they didn't want to do that. You don't have to have a regional authority for them to become parties. Gary's a great friend of mine, but we differ on that. In fact, I had a conversation with him on that a few weeks ago. There's a saying that says, "Where you stand depends on where you sit." And where I'm sitting, from a regional standpoint, Jackson does not fare well. A prime example of that is the Metropolitan Planning Organization, or MPO. That organization doles out all of the federal transportation money that comes to the region. That sounds good until you have to count votes--there are 20-some people sitting on the organization and Jackson may have three or four (votes). You start looking at all the transportation dollars that are being spent around Jackson. And the kicker to that, the critical part of that is when you have transportation that allows development to take place. So what has happened with that MPO is you've had these dollars going to Madison and going to Flowood and all of the sudden we've got all kinds of development people saying to me, "Man why can't you keep retail here in the city of Jackson?" Retail is following that transportation dollar. And that transportation dollar was allocated by a regional body that has many times overlooked the needs of the city of Jackson, and put in new construction over maintenance. Because part of the money could be used for maintenance if we had the policy in place to do that. There's a new batch of money, about $16 million out of the Highway Act that's going to come into this body. I was at a meeting just a few ago where the portion of the money that can be used for maintenance is down to 17 percent. That's money that we could get to fix streets here in the city of Jackson. But there were some mayors who were kicking. "Why do you need 17 percent? We've got some new projects over here. We've got the East Rankin Parkway; we've got Fannin Road; we've got the parkway up here in Madison County!" That's killing us. Those are the kinds of fights that I'm in all the time that people don't see, and maybe, they don't care about. But this transportation is very much related to development taking place. So let's put that aside and talk about the sewer. Because you've got the roads, and you've got the developments, so what do you need next? You need water and you need sewer. My fear is that if we get a regional authority, and I know right now people say, "Well, you've got 52 percent usage (and everyone else has 48 percent)." I believe that (a regional) authority would be set up in such a way that voting strength would be based on usage. We're at 52 now, but what if you keep building roads out there, and have a development outside the city of Jackson, and all of the sudden, we're at 48 percent. So we get 48 percent of the vote for a sewer system that we now control--that we can say to folks, "OK. You pay for that development." And this is the contract that I negotiated with West Rankin when I was in office before. "If we're going to have to increase capacity, you're going to have to pay for it. Not all of us, but you." If it's a regional authority, all of us are going to have to pay for it. So all of the sudden, we're subsidizing growth in Rankin County because we're part of a regional authority. It doesn't make sense. Now, some of my opponents would say, "Well, that's not a problem. Let's just them all." Because they don't understand; because they haven't been there. They aren't experienced. Because they think that that's a good thing. It's not a good thing. It only depends, I guess, in sitting around that table. Where you sit depends upon where you stand. Sitting around that table for as many years as I've sat around it fighting for the city of Jackson that I take that stand. But that's the stand I take. Like I said, Gary's a good friend of mine, and we had this discussion last week. We differ on that. If you were in Gary's place, would you opt to be part of a consent decree? I mean, he's sitting pretty by not having to be in it. Even in a down economy, Mayor Harvey Johnson Jr. has found new revenue and balanced the city’s budget. No. Of course I wouldn't. And if I were in his place, I'd be trying to take over resources. But I sit in a different place, so I have my stand. Is that tension between the different communities important for the way it works? Is the tension necessary? Y'all have different motivations and goals and you get criticized for the tension sometimes. I don't describe it as tension. I guess it's situational--it depends on what the situation is. I sit on the Airport Parkway (Commission) with Gary and (Pearl Mayor) Brad Rogers. Each action on that parkway requires a unanimous vote, so I could everything; I could stop anything I wanted to stop. Need to acquire property? Nope. I want to hire this individual. Nope--I don't want it. I could do that. And if there's this tension that people want to say is there, if it were actually real, then I would be doing it. But I show up at every meeting. I'm the vice-chair of the Levee Board; Gary's the chair. We agree on One Lake. We agree on needing to have that. But there's certain things that are important, (where) we have to be a little parochial and look at what's best for our citizens. And I just don't think that a regional authority is best, and I've said that. And I think we get the shaft from MPO, and I've said that, too. There is no tension. ... Gary and I get along probably better than any set of mayors from an inter-jurisdictional (standpoint). Rankin County guys go along with Rankin County guys, and Hinds County guys go along with Hinds County guys, but we get along fine. So I wouldn't describe it as tension. But you know, people think, when they don't fully understand or comprehend the consequences of some of these things that are out there, perhaps they would come to the conclusion that there's tension. There are some severe consequences. Just look around. Maybe it's just my planning background, but I recognize that development is sequential. You have to have the right type of things in place for development to take place--it just doesn't happen. We get talked about for people leaving and going to the Renaissance. The Renaissance was created because of (Hurricane) Katrina (with) GO Zone bonds. That's what funded Renaissance. Since you brought up One Lake, I wanted to ask you if you're satisfied with how that process is going? Specifically as a member of the Levee Board and as mayor, do you think you're getting all the information that you require, in the time that you need it to do what you need to do? I'm pleased that we've been able to reconcile all the difference that have been out there and that we're moving forward. I think that's a positive sign that all of the parties have reached an agreement, including the (U.S. Army) Corps (of Engineers) by the way, which has agreed that we can go through this process that we're going through now. I'm satisfied that's where we are. Now, the frustration is going to be the length of time it's going to take to do all of the preliminary work--environmental and all that--to get us to the point where we can seriously start talking about whose going to pay for this and how much it's going to cost. I think that's going to be another issue, because it's going to have to be paid for. Right now, Rankin County has the bulk of the resources--taxes--going into the Levee Board. If you start looking at flood protection, the question becomes: If this is a flood-protection device, whose property is being protected, and are those property owners responsible for paying for that protection? That's when it's going to get interesting. There are interesting times ahead, aren't there? But Flowood has like four hospitals over there that would be protected under that system and there ought to be some money there. It should be, but if you go back to the '79 flood, all of downtown Jackson, just about, was under water. If you extend it back, up north of Lake Drive, you have some residential areas in the city that were affected. It's too early, in my mind, to try to speculate as to who's going to pay and how much, but it is a discussion that's going to have to take place at some point. What's the short answer to what needs to happen with Farish Street next? An assessment of the ability of the developer to make it happen. I mean a real assessment, and that's on the part of the JRA as well as the developer. I think everybody's frustrated. I'm going to give you the longer view and answer. What's so frustrating is that people have forgotten how far that project has come. They've forgotten that. When I was in office before, we did the water lines, sewer lines, landscaping, lighting. And this developer has fixed up the outside, the store-front glasses, and has put in $4 (million) to $6 million depending on who you talk to--not city money, but state money and private money. I think that once people start throwing out dates, when it's going to be open and that kind of thing, I don't think they had an appreciation of how difficult a project this was going to be with historic buildings. You can't just go an tear down walls and all that kind of stuff. You've got to do it within standards and that's a costly process. At the same time, the financing market went dry for these type projects. There were a lot of things whirling around that has caused this project to be delayed. But I think that the developer and JRA will have to make a true and honest assessment of the developer's ability to move this project forward, and if that assessment is that they aren't able to do it, then they need to step aside or JRA needs to terminate the relationship and get somebody who can make it happen. I'm convinced that it can happen. With a developer. I'm not sure with the current developer, but with a developer. But JRA's going to have to make that assessment, because they're the one who, right now, has the lease arrangement with the developer and is looking to the developer to come through to fulfill that lease. Do you think the vision makes sense for us still--the vision from years ago? Oh, yeah. Absolutely. I'm want Jackson to become a destination city. I think part of that, clearly, is the convention center, the telcom center which we've done--we've gotten that done--the convention-center hotel, which we will be getting done. We've heard there's a deal? Of course. It's election time. You can't tell us if there's a deal for the convention center hotel today? But (Farish Street) fits into the mix. We're going to need that type of venue downtown. The downtown population is going to increase. It just makes sense. It's a way for us to showcase our culture, artists; it just makes sense. So it's going to happen, and I'm just as frustrated as everyone else that it hasn't happened at this point. Now, on Celebrate Jackson--that seems to have ended up a boondoggle on some level. What kind of responsibility does the administration take for that not going better than it did? Full responsibility. I mean, I think it was our way and our idea for moving the city into a positive mode. Let me just disagree with you in terms of a boondoggle as well as its demise. I think that what we learned from the start, the kickoff--and there was a kickoff--that we're going to have to restructure the effort, and we're in the process o doing that right now. We're going to have to involve entities like the Convention and Visitors Bureau--not to confuse it with "City With Soul," but a way of really celebrating. We had radio spots in February celebrating African American personages on radio. We're now have a logo that's prominent on some of our printed material and website. So it hasn't died. It is at a level that needs to be elevated, and we're in the process of doing that. The boondoggle part is kind of unfair. We engaged a PR firm to roll it out, and the rollout was fairly successful. One thing I learned from the rollout was that--I knew this all the time, but timing is everything. We rolled it out ... at a very high level with the expectation that it would go further. Well, it was Nov. 14, and the next thing was Thanksgiving, and the next thing was Christmas, and the next thing was New Year's, and the next thing was the Super Bowl. All of a sudden we had February, and people were saying, "What happened to Celebrate Jackson?" Well, you can't get anything in between all those events. So the timing wasn't the best in the world. All of that is being taken into consideration as we move forward, but clearly, it was our way of trying to talk positive about Jackson. We still have that as a goal. It means that we're going to have to make sure that it's done right. The city certainly has experienced 90 percent less crazy under your administration. I think everybody can agree on that. What happened to the 10 percent? Help us to understand what your vision would be for those next four years. Maybe what would be different, but what are we going to see for Jackson four years from now? I think this whole notion of Jackson becoming a destination city would be my focus. There would be a number of reasons for that. The obvious reason would be trying to bring in a new revenue source of tourism. People who come into Jackson utilizing the convention center, staying in the convention center hotel, spending more money, stabilizing our tax base, creating jobs. That's the obvious one. We're ideally located at the crossroads of the South--it used to be called "best of the new South," too--we have an international airport, we've got Amtrak. So it just makes sense--vehicular traffic north-south interstate, east-west interstates. Becoming a destination city, that means you've got to do some other things. It means you're going to have to work on the infrastructure. It means we're going to have to take that challenge and move ahead with it. We're going to have to fix our water system, fix our sewer system. It also means you have to have safety, public safety. We're going to have to get more police officers on the streets. We're going to have to have a career-development track for police officers. We started that with our promotions--we had promotions in 2010, sergeant's exams in 2010--the first that was put into place since 2004. We're getting ready to have another set of sergeant's exams and lieutenant's exams, so we've started that, but we still need that dual track of patrol officer and detective. And how do you move through those parallel tracks and get more responsibility, make more pay and all of that? That has to happen. That's part of this whole notion of feeling safe. We have to have strong neighborhoods as a destination city. We started a program called the neighborhood ride-along where we're actually going out into the neighborhoods with neighborhood leaders, and we have our staff--police officers, public works, community improvements. We take the fire department's bus and load it up together. We ride around and we ask, "What do you see wrong in your neighborhood? What do you want to fix in the neighborhood?" We see some things different from what they see, but together, we compile a list. And we've come up within 30 days, an action plan to let the residents know what the problems are that we discovered and how we're going to fix them. Some of them we're going to be able to fix right away; some we can't fix right away. But at least they'll know which ones we'll be accountable for fixing right away and which ones are going to take a little longer to fix. We've done that in about six or seven communities or neighborhoods. We're going to do that in other neighborhoods. Also, becoming a destination city means making sure that you have a strong workforce, and you take advantage of the industries that are here. Health care is going to be critical in us becoming a destination community, so you don't come just to have a good time. You don't come just for a meeting or a convention. If you stay in Saltillo, and your son or daughter is a pediatric ventilator patient, you come to the facility that's going to be built on Capitol Street at Calvary Baptist Church--a 66-bed facility--and visit that child, and you stay in a hotel downtown, and you eat at a restaurant downtown. So becoming a destination city is just not as people think. It's all of these things. It's tourism; it's safety; it's neighborhoods; it's jobs; it's taking advantage of us being the epicenter of health care in the state and soon to be in this region. That's what I want to do in the next four years. I'm going to work as hard as I can for us to become a destination city, and I think we have the infrastructure, the people, the resources to do it. But, in my opinion, you have to know what you're doing, and this is not a time for you to be looking at problems through rose-tinted glasses. You have to look at these problems very seriously, and you have to have the wherewithal to deal with them. Four years go by real fast in my world. I'm not sure that you have time, with all of these things in the balance, to learn this job.